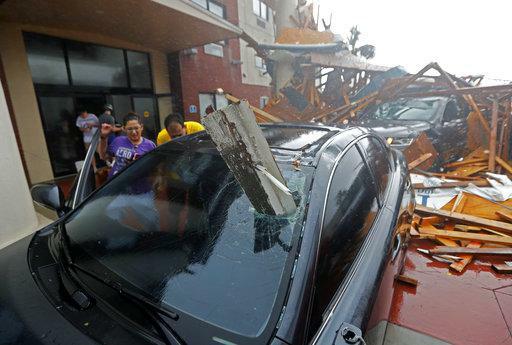 A woman checks on her vehicle as Hurricane Michael passes through, after the hotel canopy had just collapsed, in Panama City Beach, Fla., Wednesday. This infrared satellite image made available by NOAA shows Hurricane Michael approaching the Florida panhandle on Wednesday. Hurricane Michael hit the Florida Panhandle as a Category 4 early Wednesday afternoon and moved into southwest Georgia as a Category 3 storm, officials said. You can follow updates from GEMA here. 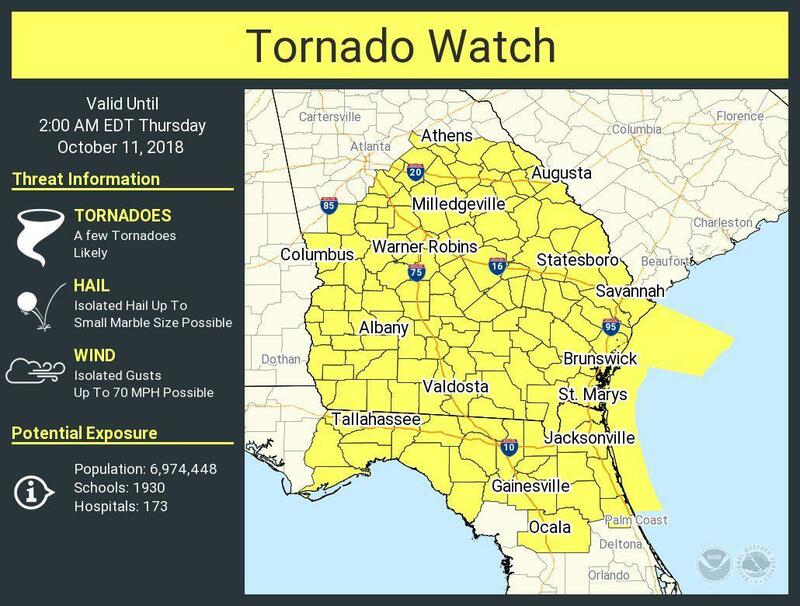 A tornado watch was issued until 2 a.m. Thursday for most of the state and tornado warnings have been issued as far north as Cobb County. Gov. Nathan Deal updated residents on Hurricane Michael about an hour before it made landfall. GPB's Ross Terrell reports. The National Weather Service posts frequently updated watches, warnings and advisories currently in effect in Georgia here. UPDATE 6 p.m.: Suspected tornado damage is reported in Crawford County. UPDATE 5:30 p.m. Hurricane Michael enters southwest Georgia as a Category 3 storm. UPDATE 4:45 p.m.: Gov. 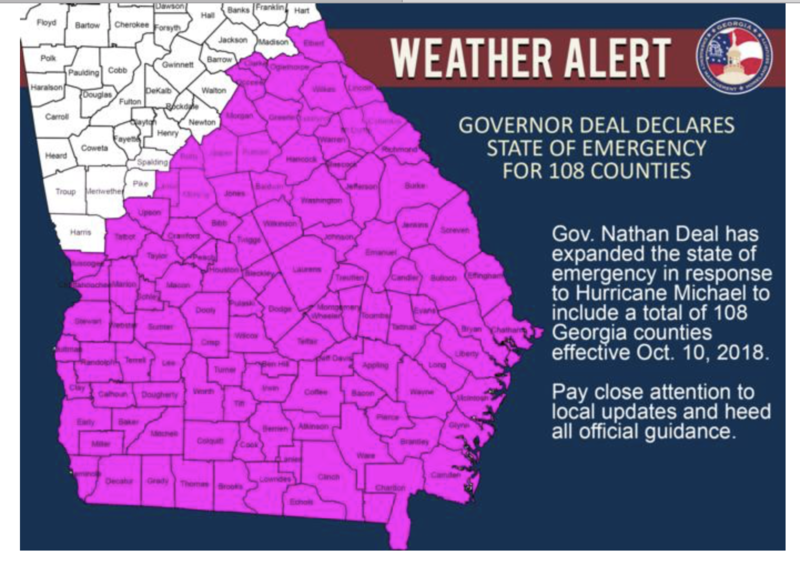 Nathan Deal upgraded the state’s prior emergency declaration to cover 16 additional Georgia counties. Senators Isakson and Perdue urge caution. UPDATE 4 p.m.: Tornado warning issued until 4:30 p.m. in Horns. UPDATE 3:55 p.m.: National Weather Service posts its latest update, warning of wind speeds above 100 miles per hour at the Marianna, Fla., airport. UPDATE 3:30 p.m.: Georgia Power official Ron Shipman says 6,500 employees are standing by to help with storm relief and restoring power when it goes out. Georgia Power's Ron Shipman updates on plan to restore power statewide when Hurricane Michael affects us. UPDATE 3 p.m.: Tornado watch issued until 2 a.m. Thursday and central Georgia counties of Macon, Peach and Houston are under a tornado warning until 3:45 p.m.
UPDATE 2:30 p.m.: Not all of Georgia’s crops have been harvested yet, and the severe weather could pose a problem for farmers, Agriculture Commissioner Gary Black said. Michael will have a deep impact on the heart of Georgia’s agricultural industry, Black said. “Eighty percent of our cotton crop is vulnerable, 50 percent of our peanut crop is vulnerable, and 100 percent of our nation-leading pecan crop is vulnerable, and is at ground zero,” Black said. Georgia’s agriculture industry contributes more than 70 billion dollars annually to Georgia’s economy. Intense winds and rains from the storm could negatively impact Georgia’s farmers. GPB’s Stephen Fowler reports. The St. Marks River overflows into the city of St. Marks, Fla., ahead of Hurricane Michael, Wednesday, Oct. 10, 2018. The hurricane center says Michael will be the first Category 4 hurricane to make landfall on the Florida Panhandle. UPDATE 2 p.m.: Officials in southwest Georgia say Michael's strong winds could be a serious danger. In Bainbridge, there are no evacuation orders but officials have urged residents of mobile homes to find safer shelter with friends or family. City council member Roslyn Palmer worries the storm could bring down some of the area's many oak and pine trees. "We are in the trees, and I'm very concerned that we may end up with a tree...I don't want it, obviously, in my house, but if it does, let it fall in the area we're not," Palmer said. Those trees could take out power lines as well, she said. UPDATE: 1:45 p.m.: Hurricane Michael makes landfall with winds at 155 miles per hour, which is just shy of a Category 5 storm. UPDATE 12:15 p.m.: Gov. Nathan Deal holds a news conference on updates related to the incoming hurricane. He said the state is working with the federal government to get help with any damage Hurricane Michael might cause. "I have already been contacted by several federal secretaries, and they have all pledged their assistance and have already engaged with our department of emergency management here at the state level," Deal said. The governor at 8 a.m. tweeted that he activated 1,500 Georgia Guardsmen to be placed on standby and deployed as needed to areas affected by Hurricane Michael. No residents are being forced to evacuate in Georgia, Deal said. He said this storm is unlike anything people in the southwest part of the state have faced before, but because they aren’t exposed to storm surge many can stay put. Emergency shelters are open in Macon and Columbus, as are three animal shelters in the state. 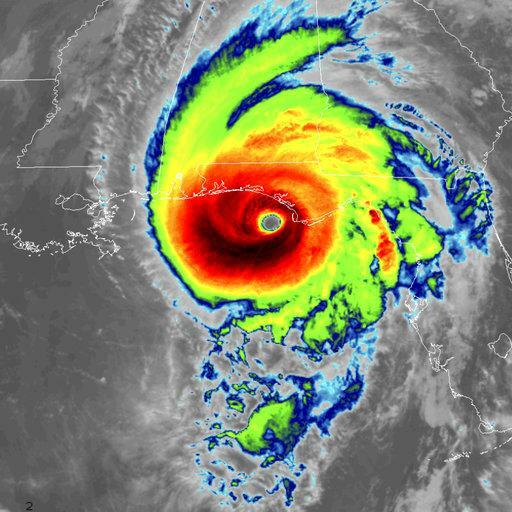 ORIGINAL STORY: Hurricane Michael strengthened to a Category 4 storm earlier Wednesday morning and is expected to make landfall along the Florida Panhandle before 2 p.m., officials say. Wind speeds are currently 150 miles per hour, which is nearly a Category 5 storm, according to the National Hurricane Center. That’s bad news for South Georgia. Feeder bands were already rolling through southern parts of the state about noon, bringing gusty winds and heavy rain. National Weather Service meteorologist Keith Stellman stold GPB News Michael will be a hurricane well inland, into Georgia. He said conditions in South Georgia will worsen as we head into the afternoon. Georgia Emergency Management Agency officials say the time to evacuate from the Florida coast is over and anyone in the area should shelter in place. 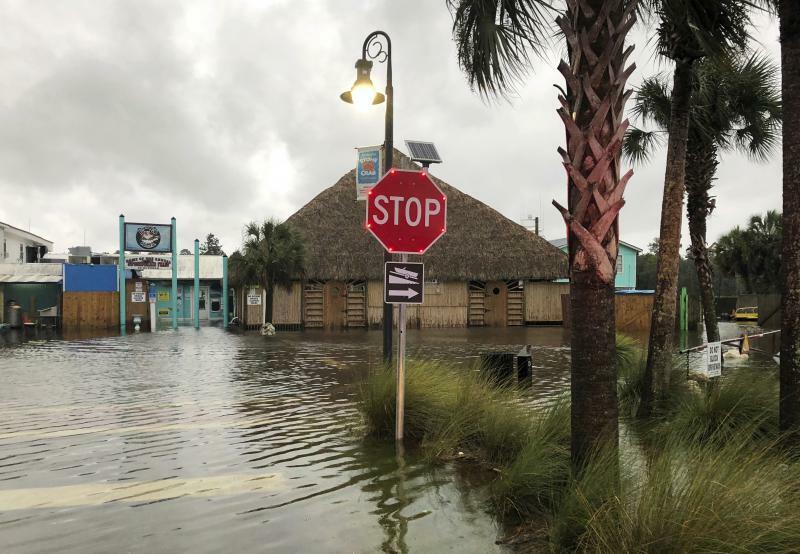 The Panhandle area hasn't been hit by a storm this dangerous in decades, and forecasters anticipate life-threatening strom surge and flash floods throughout coastal areas along the Gulf, from Pensacola around the coast to Tampa. Gov. Nathan Deal declared a state of emergency Tuesday in 92 southern counties. The Red Cross says to prepare emergency plans ahead of Hurricane Michael. GPB's Ellen Eldridge reports. Earlier, Ashley Henyan with the Red Cross said people need to have an emergency kit ready. "Do that now," Henyan said. "Make sure you have extra batteries, flashlights, first aid kit, crank radio, medications, at least three days worth of food and water for every member of your family and pets." Henyan said people need to expect downed trees, flooding and power outages. Also, make sure your family has an emergency evacuation plan in place that includes pet-friendly shelters. Freeze refrigerated items, such as leftovers, milk and fresh meat and poultry that you may not need immediately — this helps keep them at a safe temperature longer. Group foods together in the freezer — this ‘igloo’ effect helps the food stay cold longer. If you need assistance or have questions about State Hurricane Response, call the Georgia Emergency Management at 1-800-TRY-GEMA or (1-800-879-4362). For medical or health related questions, call the Georgia Department of Public Health at 1-866-PUB-HLTH (1-866-782-4584).